When we saw one of FSA’s Afterburner double cranksets in the field last summer, it was a why didn’t we think of that moment. Starting with their mid-range Afterburner alloy triple, FSA added a pair of offset ‘rings for a nicely-centred chainline and a set of trim pieces on the outside of the tabs for a nice, clean look. 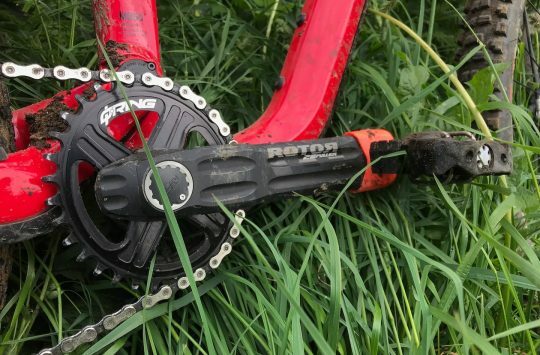 Not unlike Shimano’s trail-oriented SLX and XT cranksets, the use of triple-sized 104/64 bolt circle allows for a nice low gear: in this case a 29er-friendly 22. When paired with a 36 tooth outer, FSA’s chainrings provide plenty of range for both steep pitches and road stretches. Shifting is good- maybe slightly below Shimano levels- an improvement over most OEM offerings and wearing very well to boot. 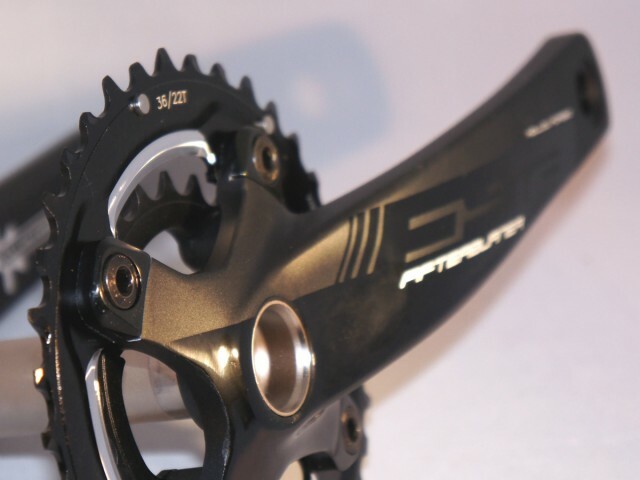 The hollow forged crank arms have proved plenty stiff- though it’s hard to find a flexy crankset anymore. As would be expected, the included Afterburner bottom bracket spins nicely after several months in the desert. When replacement time comes, the FSA spindle is compatible with Shimano bottom brackets (and vise versa). In terms of price and intended use, the $270 crankset is aimed squarely at Shimano’s M675 SLX trail double. The 830g Afterburner package (including BB) lands within 5g of an SLX 38/24. 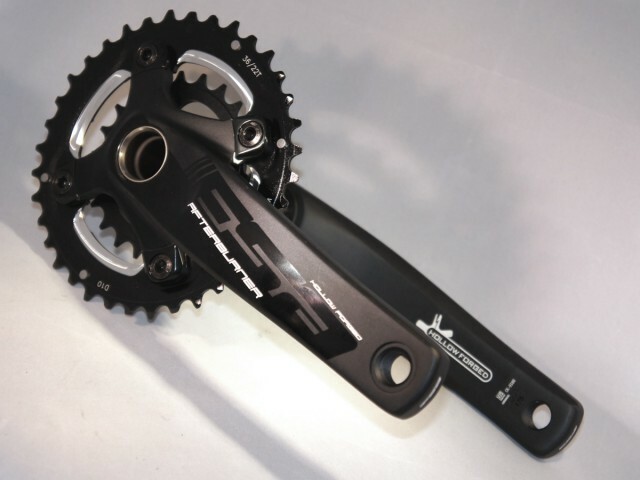 Where FSA gain an advantage, then, is in gearing: the 22t inner is 8% lower than Shimano’s easiest gear, and 24/36 and 24/38 combinations are also available. 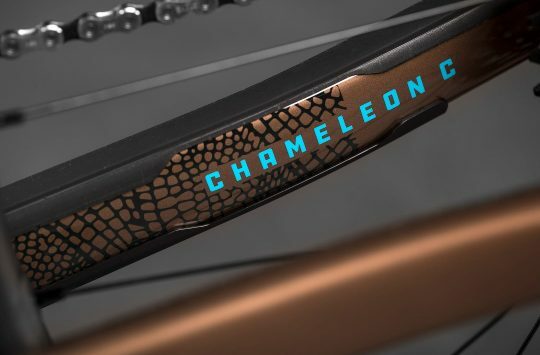 The black arms will show wear faster than the Shimano’s machined faces- but arguably look better out of the box. Unfortunately, the 4-arm Afterburner doubles are a special order item in the UK, set aside in favor of the company’s proprietary 386 bolt pattern- which bottoms out at 27t. For anyone considering the move to a double, the $90 (pair, again special order in the UK) D10 offset chainrings specified here are a real gem. 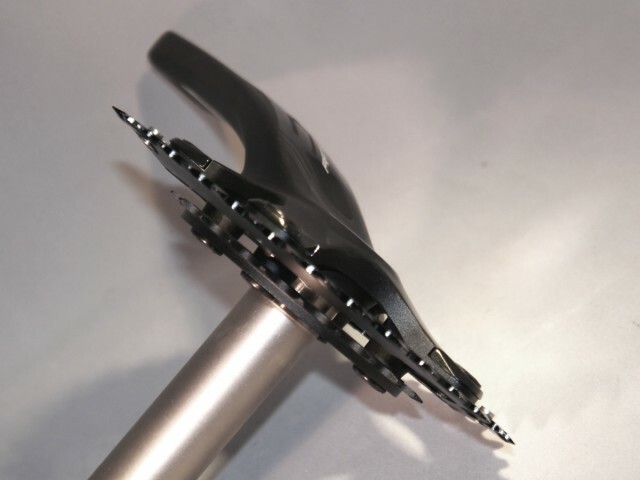 The offset design means that existing triples can be converted to 2×9 or 2×10 without the chainline issues that can arise when using the small end of a cassette with a traditionally-located inner. £18/$15 cleanup tabs do a nice job of cleaning up the ‘look’ of the chainring tabs, too, nicely finishing the conversion and are a nice way to tidy up a singlespeed or 1×10 setup. 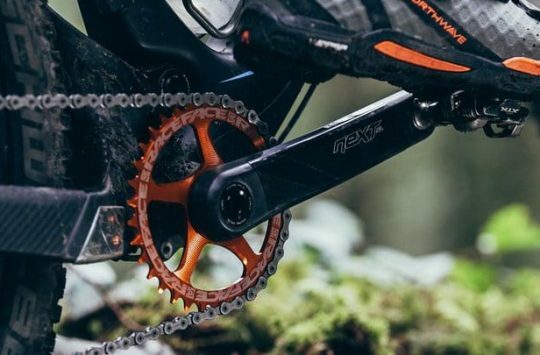 Review: Are the Rotor 2INPower MTB Cranks worth £999?